El Capitan Theater El Capitan Theatre is a fully restored movie palace at 6838 Hollywood Boulevard in Hollywood. 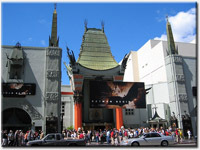 It is owned by Pacific Theatres and operated by The Walt Disney Company. It serves as the venue for many of Walt Disney Pictures' movie premieres.